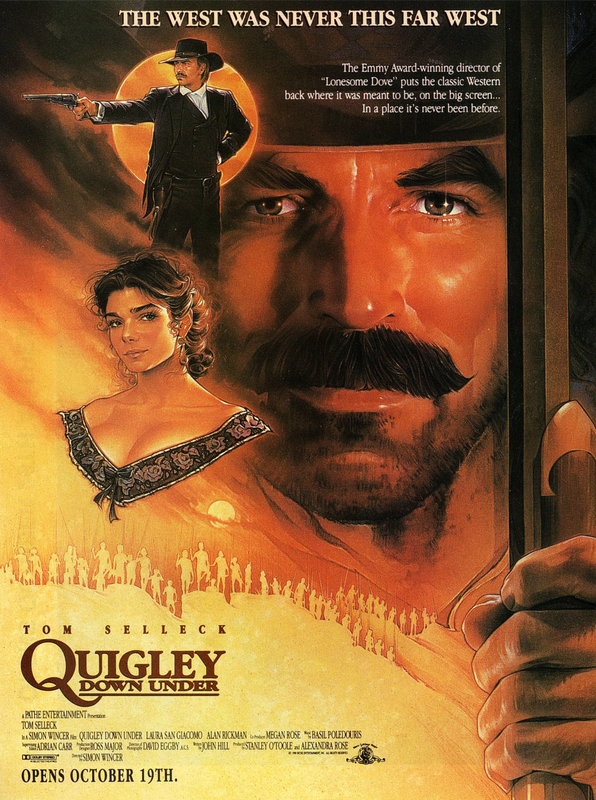 3 Dusters await: Quigley, Down Under (1990), The Man from Snowy River (1982) and The Proposition (2005), Australian-style: ‘not necessarily in that order’ … but who knows what the hell else is out here ??? … this outta get some dust in my mouth. No matter – it’s all good: A Classic. I actually bought a duster and a hat because I really LOVE the clothing. I wish I still had the duster. It was so cool. I still have the hat, however. I guess Aussie Bush hats wusn’t around yit. But neither wuz these. I didn’t see this series, but remember it was respected and good for Tom Selleck’s career. Hi Cindy! Maybe what you are thinking of is called The Sacketts?? – Starred Sam Elliott, Tom Selleck, and Glenn Ford – based on novels by famous Western author Louis L’Amour – which I thought had been a mini-series?? Guess not. I’ll have to do some research. 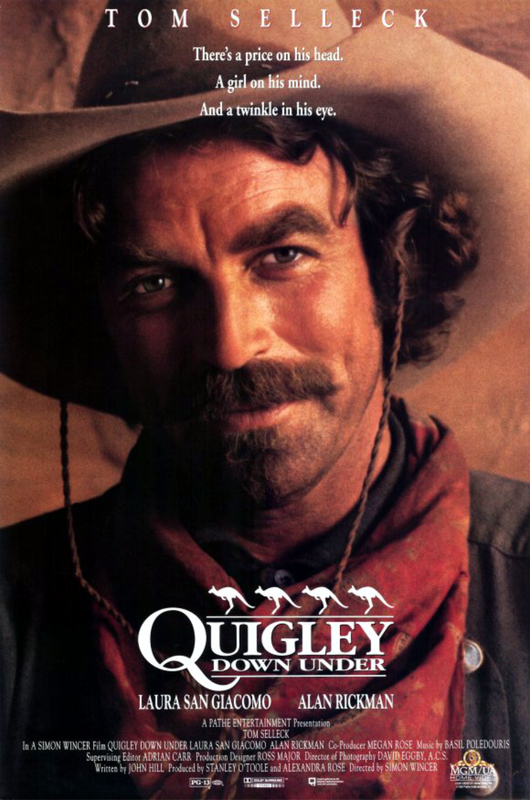 Quigley was a just one movie – unfortunately. I think you are right. Quigley was the film and Sacketts was the TV show.